Thankful for a new era where kids can receive positive messages throughout social media and perhaps find support for issues in their lives. 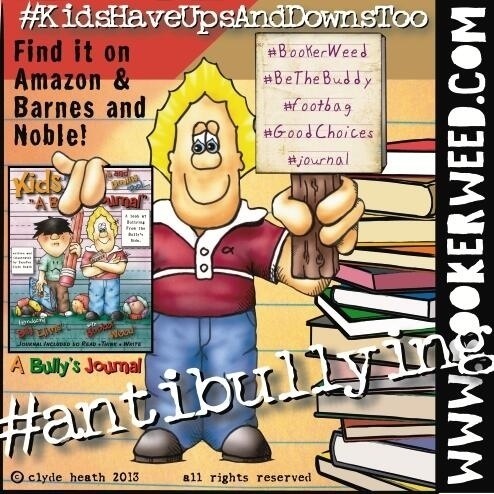 #KidsHaveUpsAndDownsToo – “A Bully’s Journal” looks at #bulkying from the bully’s side. 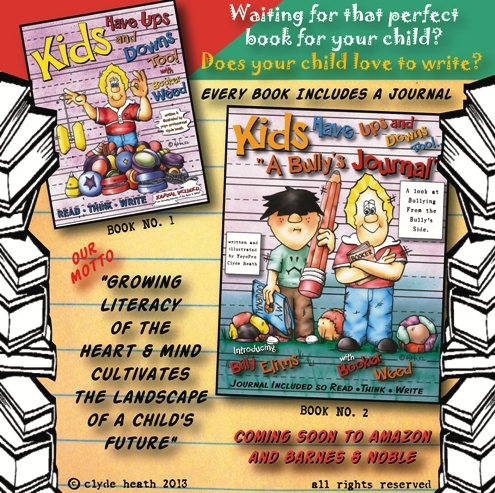 Available on Amazon and B&N. Great are the choices some make and not so great are the choices many make – or so it seems. Everywhere we see the hype over bad choices. We feed on it, it’s our dessert after a long day and for some we thrive on it. I often wonder what a life full of reports of the good in others would be like. Would we turn the station on the bad stuff only to look for the good? I crave for others to know the good that is in them. Phil Robertson of Duck Dynasty said it best, “I have to make a valiant attempt to be good.” What if we all put on our armor and suited up for battle to make a valiant attempt to be good. What if we realized that no matter what it’s like in our home, our neighborhood or with our friends we have what it takes to make good choices. What would the bully do with all that hurt inside? 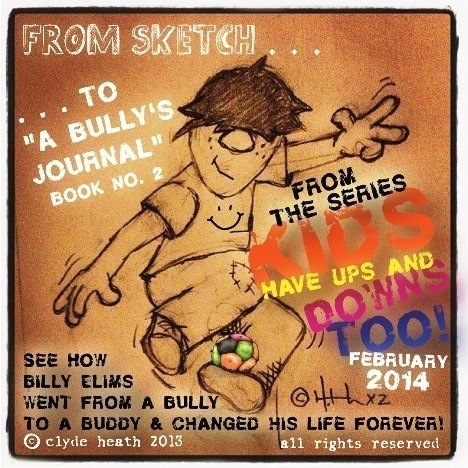 Maybe we would understand why bullies act the way they do. Just maybe the evening news would report on the valiant behavior of a good deed instead of highlighting the junk. Rather than being all puffed up with ourselves we might reach out care about how someone felt when they witnessed them being mistreated … am I speaking to adults? No, I speaking to the generation currently in our elementary schools. Maybe we can realize our school campus, classroom or teacher is a safe place to be – where you can get away from the broken promises at home or the substance abuse parent or the violence. Make your campus a place where bullies can change and learn to be respectful. Bullies can change if we just take a step back and ask, “Why?” If you’re being bullied maybe try asking, “Why are you bullying me?” or maybe, “Why do you want to treat me this way?” or maybe, “When you say or do those things I feel ________.” Make a valiant effort to do good. Report a good act. Copy a good deed. Learn from example it doesn’t have to be your own. More later …. 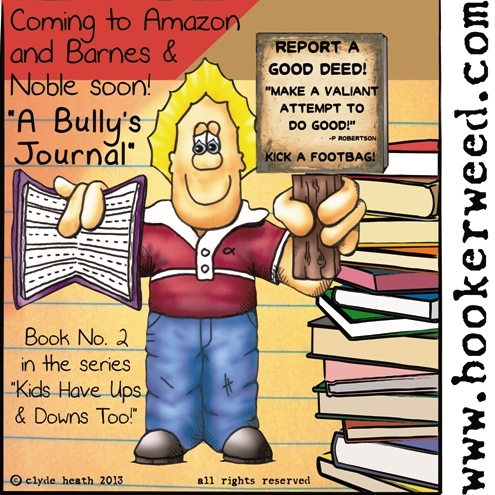 Don’t be a #bully, #kick a #footbag. 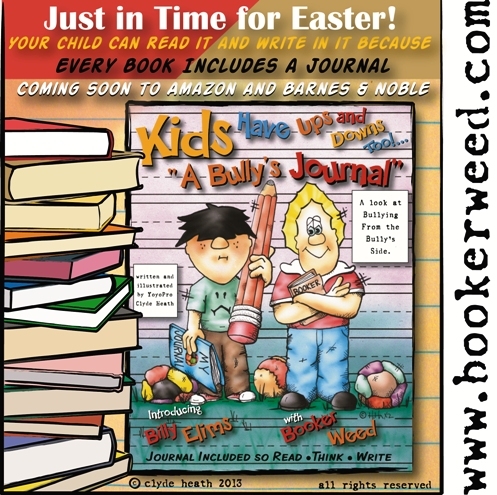 Learn how Billy Elims changes his life with a #journal, a footbag, and @bookerweed.